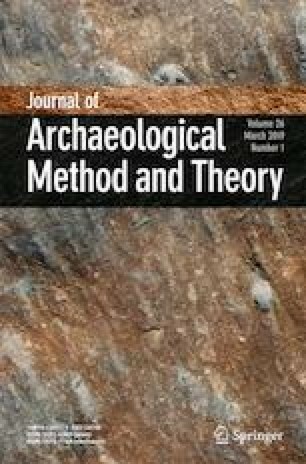 The application of geochemical sourcing methods to archaeological questions continues to grow, as does the need for innovation in applying these methods. The process of sourcing materials is to rule out potential areas in favor of the most likely origin. It will foreseeably remain true that additional data could reveal other potential sources for an artifact. However, the use of multiple methods to further refine potential sources should not be neglected. In this paper, we use maize niche modeling in tandem with isotopic data to refine possible source regions of archaeological deer from Chaco Canyon, NM, USA (ca. AD 800–1250). Previous research on this prehistoric community demonstrated an extensive non-local procurement system where small mammals were garden-hunted in plots lying > 40 km from the canyon and the procurement of deer from upper elevations at > 90 km. The upper elevation procurement of deer will be tested by adding carbon isotopes and maize niche modeling to previously published strontium and oxygen isotopic data. As browsers with an affinity for maize, deer harvested in low to mid elevations within the maize farming niche should have carbon isotope ratios reflecting C4 plant consumption. Growing degree days in this region place the most salient limits on the elevation of maize production and define the region corresponding to a maize-free diet. Analyses of archaeofaunal deer from Pueblo Bonito indicate that hunting occurred at a higher elevation than the maize farming niche. These results demonstrate the utility of combining geochemical sourcing methods with paleoenvironmental modeling. The online version of this article ( https://doi.org/10.1007/s10816-017-9359-6) contains supplementary material, which is available to authorized users. We thank W. Wills, John Driver, Wendy Bustard, and the Museum of Southwestern Biology whom all provided samples for this paper and Mary Stiner, Jay Quade, and Catherine Mendel for useful comments and editorial remarks. R script for maize niche modeling available upon request. The research was funded by a Jacob K. Javits Fellowship, a NSF IGERT fellowship in Archaeological Science, the International Society of the P.E.O., William G. McGinnies Arid Lands Scholarship, Joe Ben Wheat Research Award, the Fred Plog Memorial Fellowship, and NSF grant no. BCC-1439603.